Each month, the Health & Wellness Center at Magee Riverfront honors one of its clients as the “Wellness Triumph of the Month.” Today, meet Nick. In 2012, Nick Imboden graduated from St. Joseph’s University and started his career in corporate finance and data science. While visiting friends in Connecticut in November of 2017, he fell from a tree. He spent four weeks at Hartford Hospital and decided to continue his recovery at Magee Rehabilitation Hospital. During his 10-week inpatient stay, he worked with therapists Natalie and Erin, who he says were a huge help. After leaving the main hospital, he attended a day rehab program in Hershey, PA and then returned to Magee Riverfront when he moved Philadelphia. Nick joined the Health & Wellness Center to utilize all of the adaptive equipment and resources available. 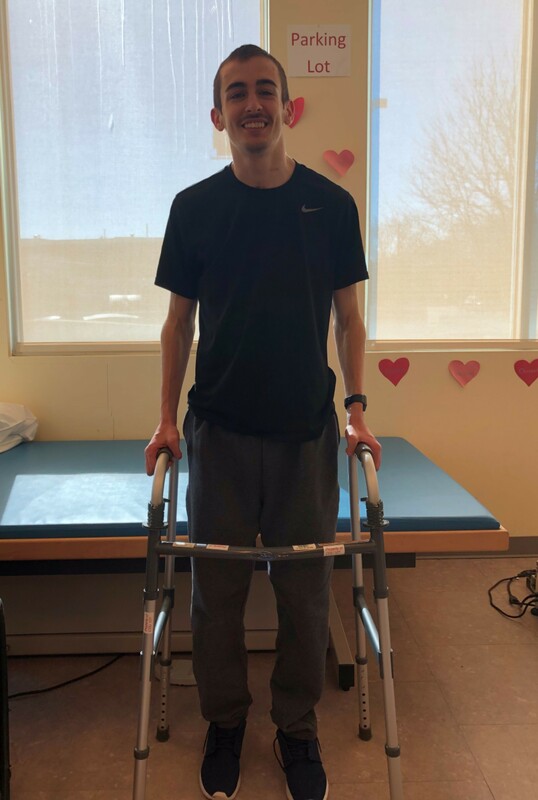 He says, “Using the equipment was the best decision I’ve made.” Nick would like to thank all of the people at Magee, especially all of the aides. To learn more about the Health & Wellness Center at Magee Riverfront, click here.